The village of Llanmaes in the Vale of Glamorgan in South Wales has suffered flooding for the last 20 years. The Vale Council have been trying to agree and get funding for a major flood alleviation scheme since a pre-feasibility study was undertaken in 2004! Meanwhile, many villagers feel apprehensive every time the weather forecast predicts heavy rainfall. It is easy enough (although expensive) to prevent river flooding in one village. Problems arise when the repercussions of the flood alleviation scheme for a single village are examined. How will major earthworks and redirection affect the course of the river? The aim must be to prevent flooding altogether, not simply shift it to up or down stream. Approval of a scheme for Llanmaes has taken 15 years because it is essential that any scheme to protect the village does not cause flooding issues for other areas. Consequently, implementation of the flood alleviation scheme keeps being delayed. Work is expected to start later this year – subject to final release of £2 million funding from the Welsh government. “We are definitely pleased with the work that Flood Ark did here. We have actually assembled the barrier in the garage three times, first as a trial run, then as a precaution as we were going away for a few days and the forecast was dodgy and then last weekend again as a precaution due to a horrendous forecast. Fortunately, it wasn’t put to the test but it’s so good to have ‘peace of mind’. Bryan and I haven’t had any problems assembling the barrier, in fact we’re becoming quite expert in our ‘righty tighty’s’ and ‘lefty lucy’s’ and I love the little spanner Steve gave us, it works a treat." 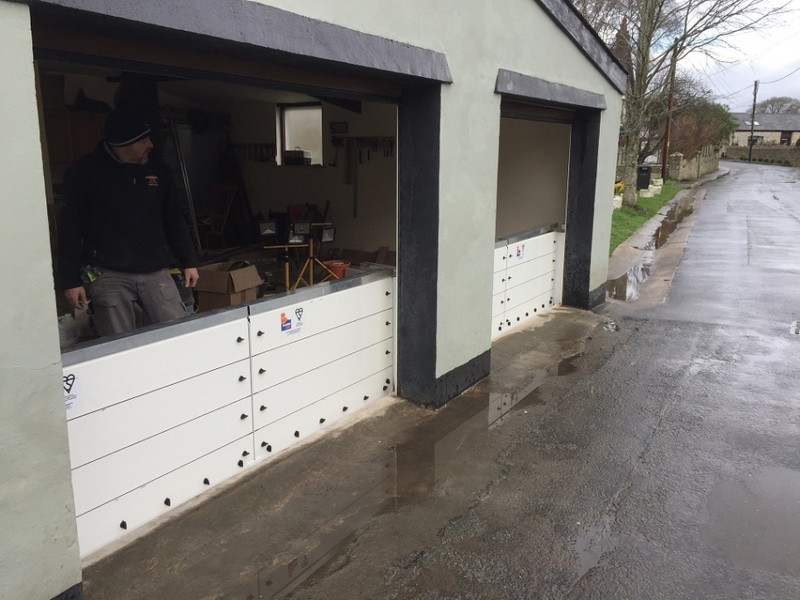 Flood Ark flood barriers provide proven property level protection to buildings. 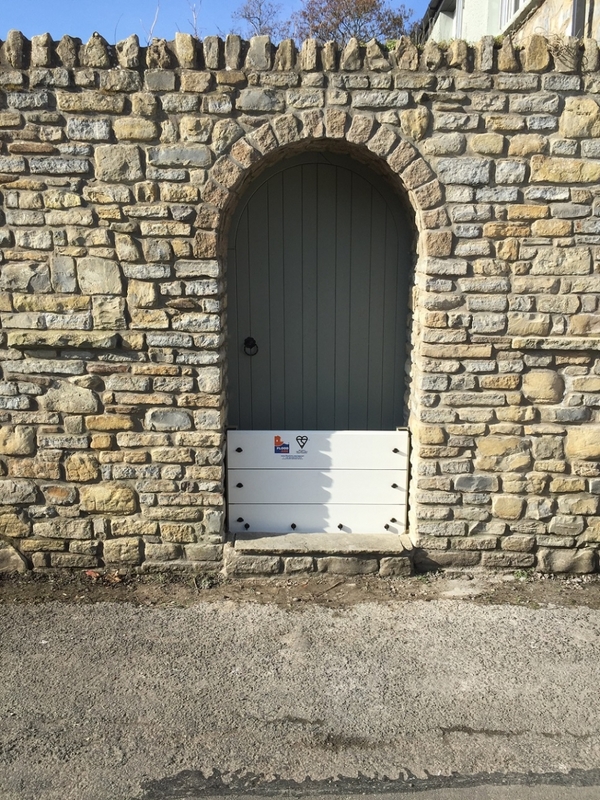 The Vale of Glamorgan councillors chose us because we supply a reliable product that has been thoroughly tested. 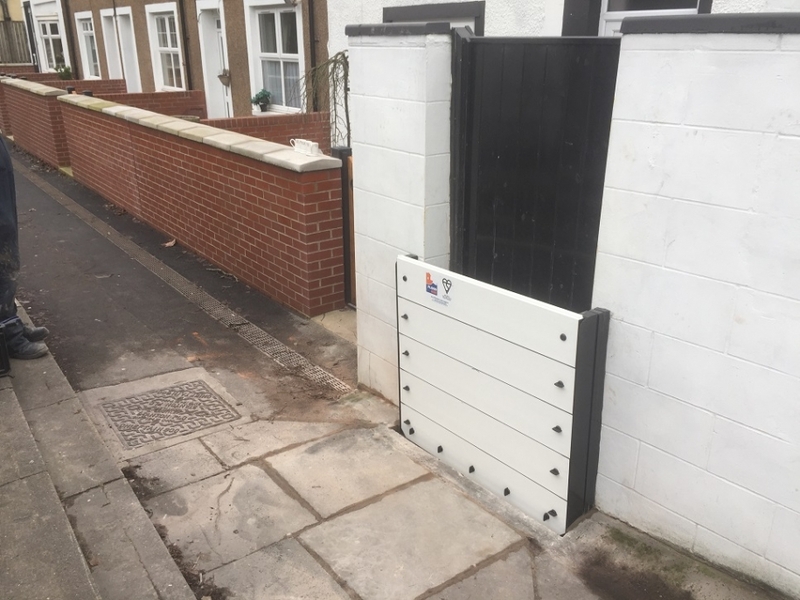 If you would like to know more about our barriers, please don't hesitate to contact our facility on +44 (0) 1603 879977 or email info@floodark.com. For regular installation images and articles related to the flood protection industry, follow us on Facebook and Twitter.